Get paid faster You can sign up with a payment processor to accept credit cards and direct bank withdrawals, which can speed up your customers’ responses to invoices. You’ll also be able to accept payments when you’re out of the office on your mobile devices. Minimize errors Once you enter data, QuickBooks Online remembers it. No more duplicate data entry that can cause costly mistakes. Find any detail in seconds QuickBooks Online has powerful search tools that allow you to find what you’re looking for quickly. Better service customers Because your customer profiles include transaction histories, you’ll be able to deal with questions and problems quickly and accurately. 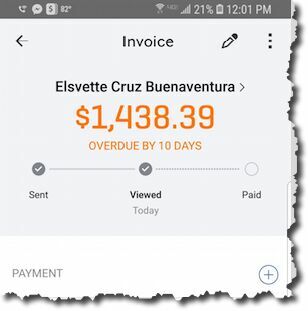 Bill time as well as invoice products QuickBooks Online supports sales of time-based services with capable time-tracking tools. Improve your customers’ and vendors’ perception of you Your business associates will know that you’re using state-of-the-art technology by the forms you share and the customer service you provide. Save money and time It does take some time to make the transition to QuickBooks Online. But you’ll quickly make that up with the hours you’ll save on accounting tasks, and be able to concentrate on tasks that improve your bottom line. Be prepared to grow Because all of your financial data is organized and easily accessible, you’ll be able to quickly generate reports that help you plan for a more profitable future. Banks and investors will need some of these if you decide to seek financing. What Consequences does not collecting a W-9 from Vendors have?